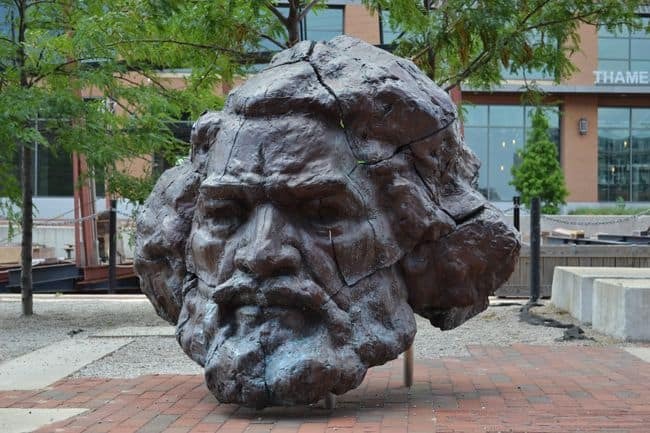 Trying to find a good bar in Fells Point is one of the easiest tasks on the planet. Not so easy is deciding which one of them to patronize. 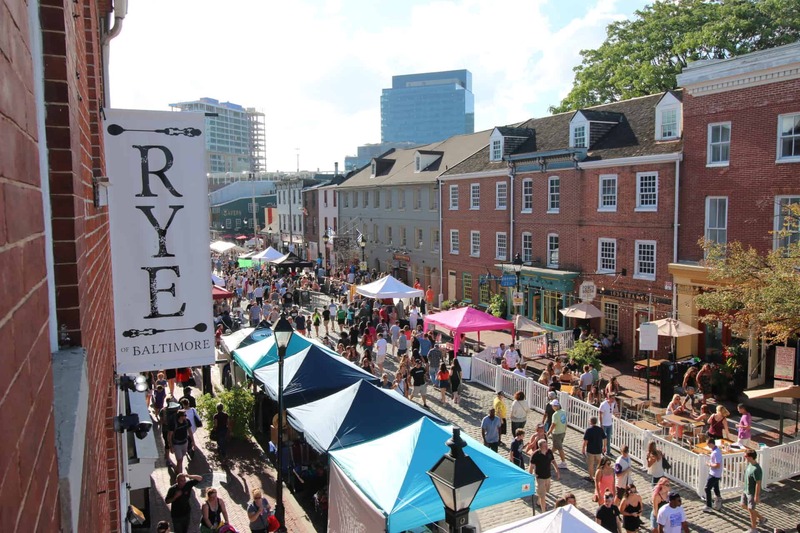 Your best bet is to visit a few, bar hopping along our list of the Best Fells Point Bars. 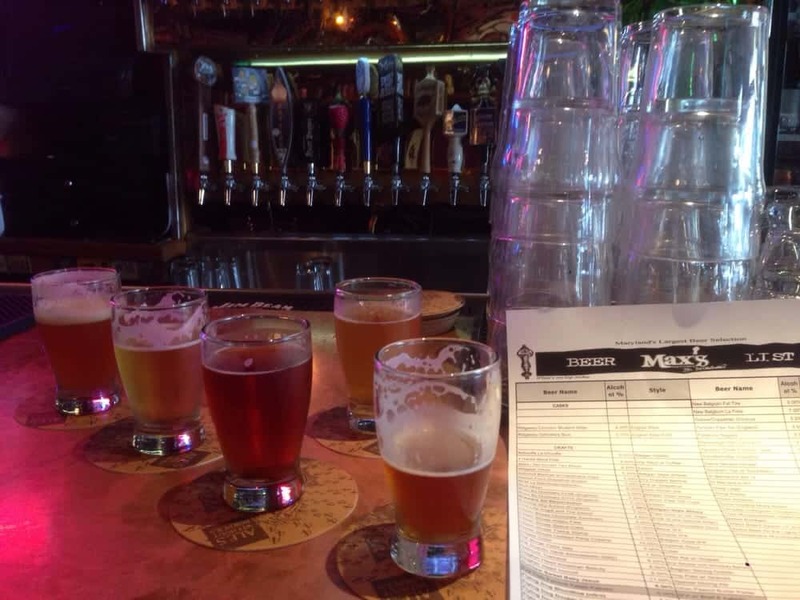 Widely considered the best bar for beer aficionados in the state of Maryland, Max’s has 100+ beers on tap, 1,000+ bottles, 5 casks, 2 humongous floors of open bar space, and several popular social beer events throughout the year. The bar snacks aren’t bad either (try the bread bowl). 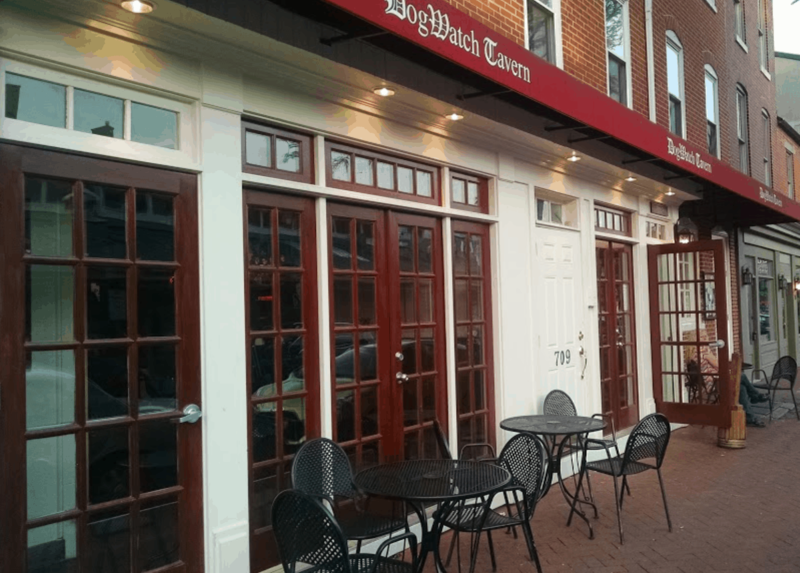 With a free-to-play pool table, arcade games, skee ball, bear pong, board games, and a big screen TV in front of a comfy couch, Dogwatch is a whole lot of fun. 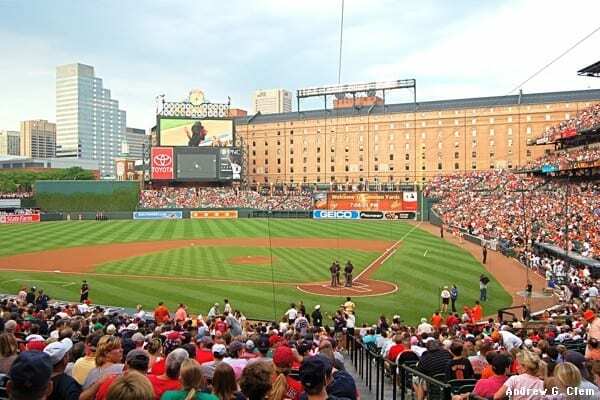 They serve some of Baltimore’s best wings at the U-Shaped bar in their double-wide building and attract an energetic and active crowd. Three outdoor tables as well! 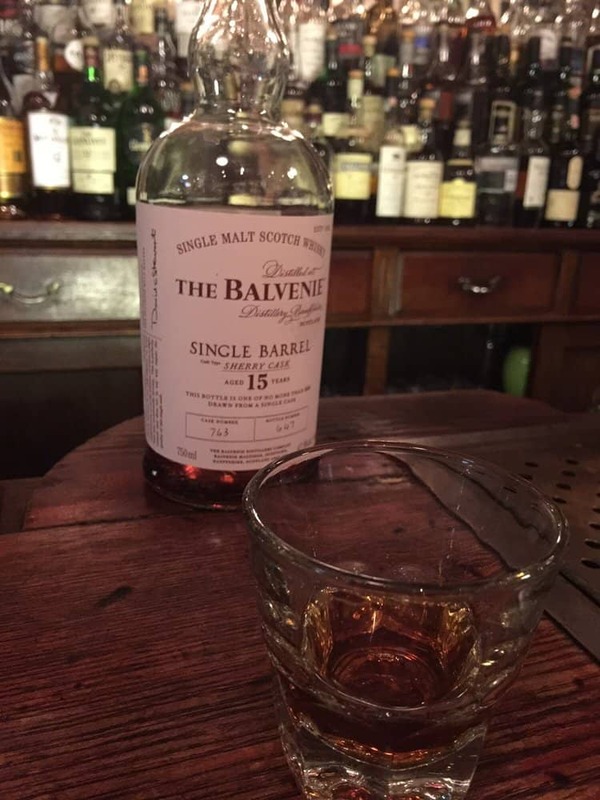 This low-key scotch bar has an unparalleled selection of scotches in a quiet and charming old school atmosphere. Sit at the bar for small talk or venture into the back lounge for deep conversation among close friends. 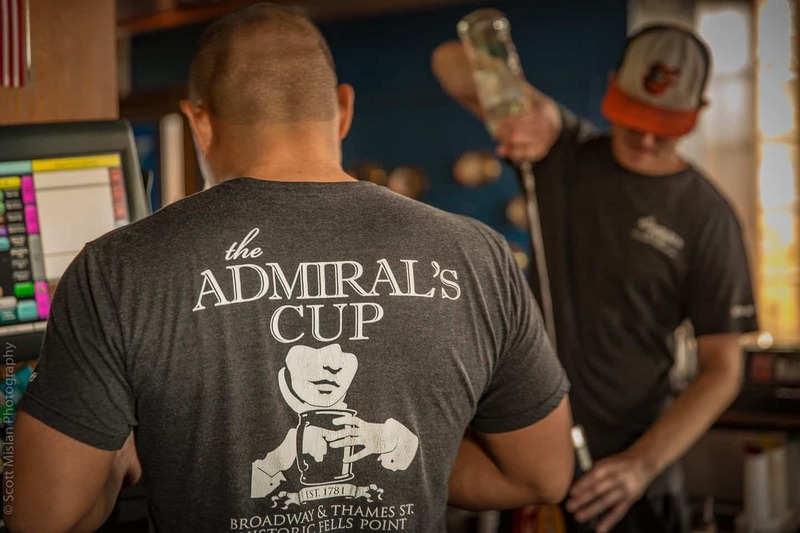 Smack dab in the middle of everything, Admiral’s Cup sits at the intersection of Thames Street and Broadway at the foot of the Broadway Pier and directly alongside the Fells Point Water Taxi dock. 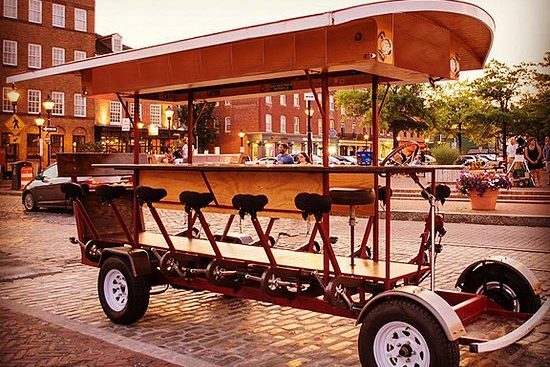 It’s inviting corner presence and lively raucous atmosphere captures the eye of every passerby and you’d be foolish to refuse the temptation for at least one drink. 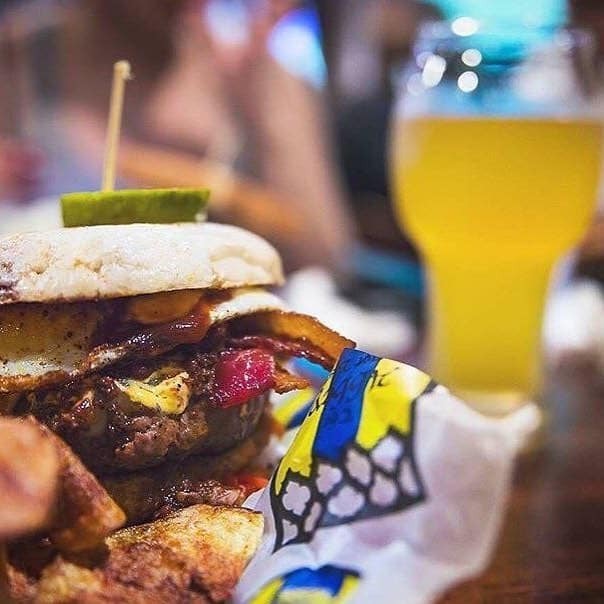 If you want an extensive draft beer menu with great food in a friendly and laid back environment, Abbey Burger is your destination. 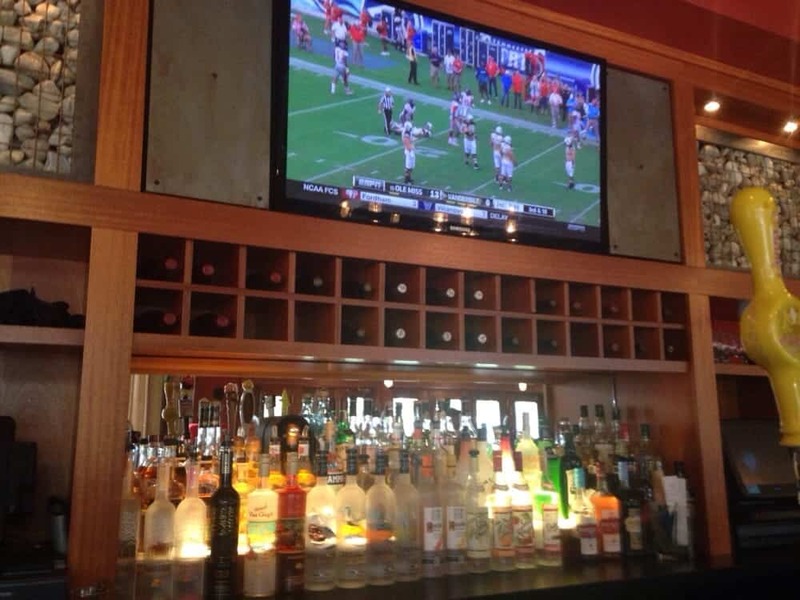 With 40+ draft beers on tap, a boatload of bottles, and walls lined with HD TVs, you may never want to leave. 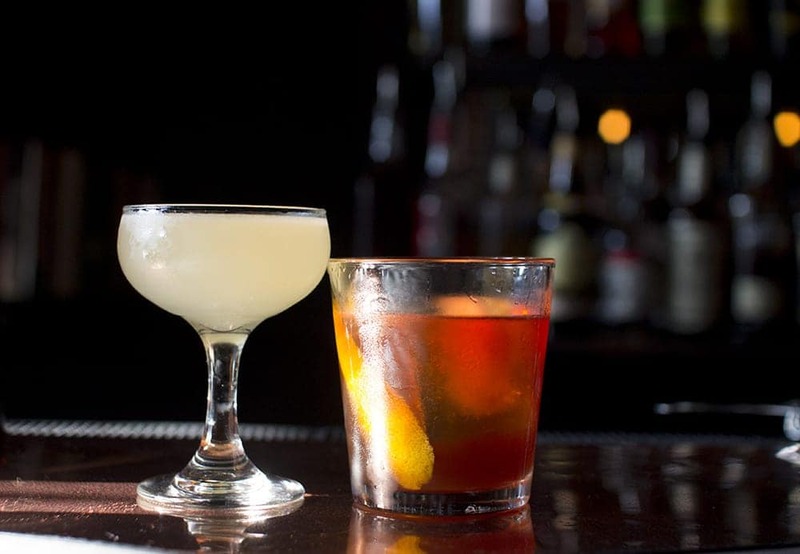 If you’re looking for Craft cocktails that compete with the best in the world, you’ll find them at Rye. These aren’t just drinks: they’re thoughtfully inspired recipes creatively composed as works of art. 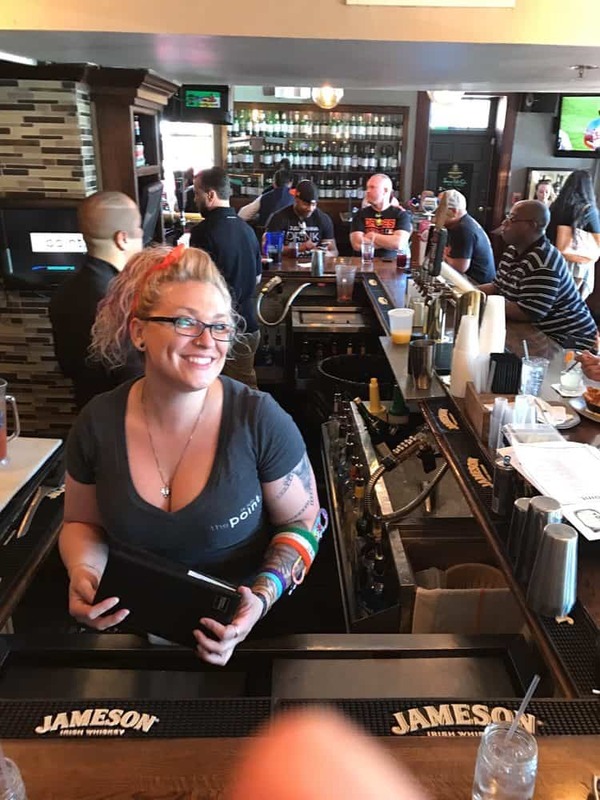 An all-around great bar that has a little of everything including a hopping bar downstairs, low-key bar upstairs, great drink selection, delicious food menu, solid specials, and a pool table to boot. 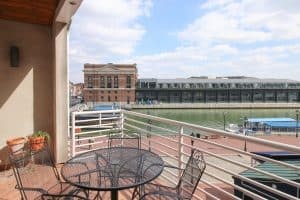 Another swing and never miss favorite, Waterfront can easily become an all-day affair. 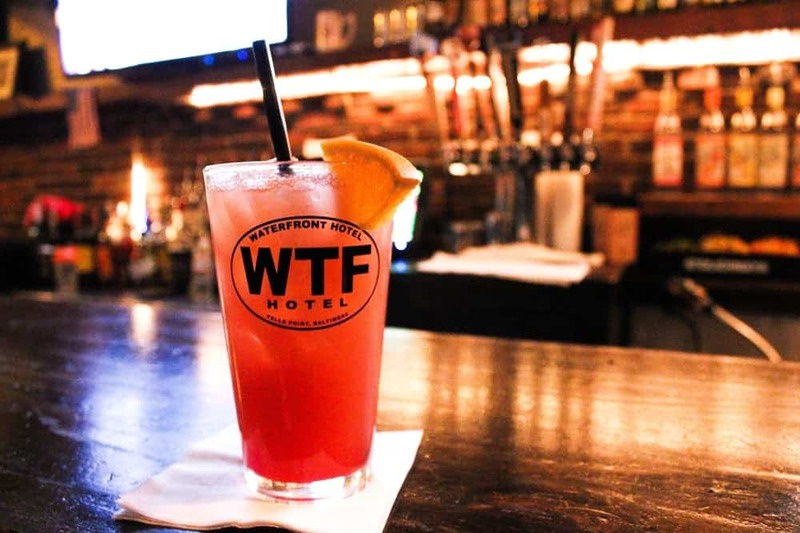 They’ve got one of the best brunches, best lunch/dinner menus, awesome atmosphere, plenty of drink options, and frequent live music downstairs while they spin music upstairs. 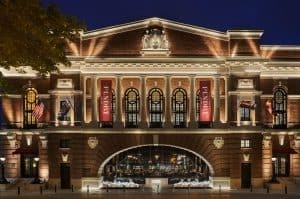 Located in the Sagamore Pendry Hotel, the Canon Room is an American Whiskey Bar that features whiskeys from Under Armour CEO’s Sagamore Rye whiskey brand. A glass panel in the small room’s floor displays a merchant ship canon that was discovered in the historic building’s preservation/renovation process. Patrons are free to walk with their drinks to the nearby lounge or explore the Pendry’s stunning courtyard. For a less gritty and more modern club feel, head over to Bond Street Social. 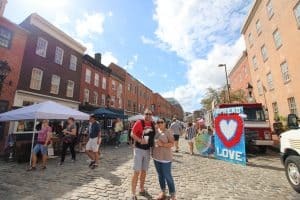 Anything goes is the typical Fells Point dress code, but here you’ll want to be buttoned up and remove your hat. Classy environment with a young professional crowd.